Small groups are a great way to promote the spiritual formation of church attendees. But leading them well can be hard work, especially if you don't have a plan. This practical resource helps pastors and small group point people develop and implement a 12- to 18-month strategic plan for their ministries in order to keep it healthy and growing. Developed at Saddleback Church, this completely customizable plan works for any church size and any denomination. Readers answer 22 questions that help them understand their vision, the purpose of their ministry, and how to connect members, grow numerically and spiritually, measure progress, develop leaders, create opportunities to serve, and much more. By the time they're done, readers will have developed their own personalized planner for the next year to 18 months so that they can feel prepared, confident, and purposeful about their small group ministry. I love Steve's work because it is always rooted in experience, forged in the crucible of real group life with dedicated leaders, and readily used or adapted in other churches. Mine this resource for all you can get! - Dr. Bill Donahue, president, The LeaderSync Group; associate professor, Trinity Evangelical Divinity School. "I love Steve's work because it is always rooted in experience, forged in the crucible of real group life with dedicated leaders, and readily used or adapted in other churches. Mine this resource for all you can get!" This is an invaluable resource for all small group point people who want to propel their ministry to the next levell. 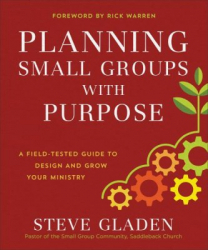 Full of insightful questions, biblical principles, practical ideas, and actionable content, Steve guide you through a meticulous process of defining, creating, planning, and developing a thriving small groups ministry. 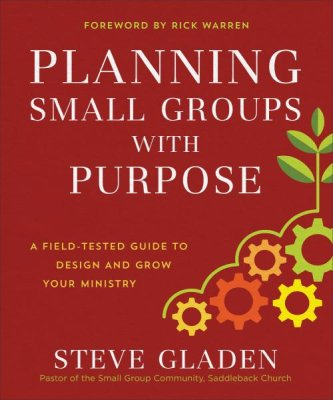 Great tool to use with your ministry team to hone in on the vision, strategy, and tactics for growing a discipleship culture through healthy small groups in your church. - Carolyn Taketa, Small Groups Pastor, Calvary Community Church.